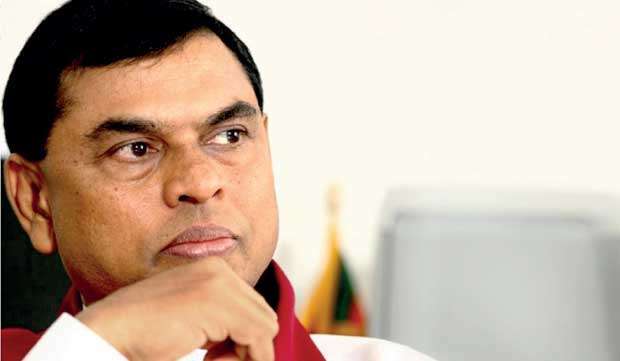 Former Economic Development Minister Basil Rajapaksa, in an interview with Daily Mirror, speaks about the presidential election, the status of the economy and the government’s tax policy. Q There are a lot of talks about the Presidential Election. There are differences of opinion on the candidate to be selected from your side. Who is the candidate in your mind? I do not think a seasoned politician like former President Mahinda Rajapaksa will take a hasty decision. There are more than 450 days left for the elections. I do not think he will take a decision at such an early stage. In the past, such decisions were arrived at after much calculation and deliberation. It was done after much consultation with the organizations and people involved. We have to follow a proper procedure to decide on the presidential candidate who is supposed to represent numerous parties and organizations. The former President will decide on everything at the right time through the procedure. There is a time for it. As Buddhists, we have heard about five big considerations (Pas Maha Belum) made for a Buddha to be born. Q Your name is also floated as a prospective candidate. The names of former Defence Secretary Gotabhaya Rajapaksa and former Speaker Chamal Rajapaksa are mentioned. Do you have presidential ambitions? I have no such dream at all. People express different views. They are entitled to their views in this regard. It means there are a number of eligible persons. Actually, there are some other names being mentioned as presidential candidates other than the ones you mentioned. They do not even belong to the Rajapaksa family. Q Who are them from outside the Rajapaksa family? I do not wish to mention them openly. I have stopped talking about presidential candidates. The only thing is that the former President should decide on it. Only he has been given the right to decide on the candidate finally after consulting everyone concerned. Q In your view, what are the qualifications the possible candidate should possess? Again, it is up to the former President to look at. 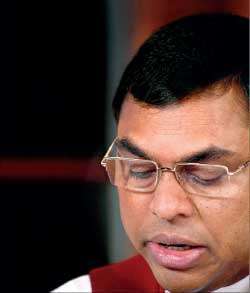 Q But, your party ‘Sri Lanka Podujana Peramuna (SLPP)’ is calling the shots in the opposition. Therefore, you must be having some views in this regard? We do not spend time on such matters these days. Our primary focus is to build pressure on the government to stop its agenda harmful to the country. The government is doing certain things harmful to the country by enacting fresh legislations. Some international agreements, being signed, have a bearing on the country. The local economy is in tatters. Free education and healthcare are on the decline. The agriculture sector is in ruins. The industries have collapsed. We want to stop further damage being done during the remaining period of this government. Q Does it mean you will undo certain legislations if your party comes to power? That is also being considered. Certain economic nerve centres had been privatized by the governments of former President Chandrika Bandaranaike Kumaratunga and R. Premadasa. They had been sold for a pittance. Our government took steps to reclaim them after 2005. We did so by moving court in some instances. Also, we acquired some assets through negotiations. We paid huge compensations to take over some of them. The former President is a leader with such experience. We are discussing similar steps to be taken next time. We remain alert on the alienation of public assets, bilateral agreements being signed and transactions taking place. Let alone, we cannot forget the fact that some of these transactions are bound by international treaties. If it is a bilateral agreement, it will be far more serious to rescind it in the future. If it is an agreement with a foreign company, it will be less serious though. We live in a globalized world. We have to look at all these aspects. Bilateral agreements are bound by international treaties. Therefore, they become international agreements. It is difficult to abrogate such agreements, come what may. The recently signed Free Trade Agreement with Singapore even covers Prima Company which is a previous Singaporean investment in Sri Lanka. Singapore does not produce rice. Yet, there are a number of rice producing countries in ASEAN- Vietnam, Thailand and Philippines. If such rice enters our market through the FTA with Singapore, it will affect our rice farmers. Rice cultivation is not merely a source of income. It is, in fact, linked with our culture. Q Former President Mahinda Rajapaksa said that India was the country that could make the biggest political impact on Sri Lanka. Is there any new plan to engage India? I don’t think of it as a topic to be discussed openly. If there is anything like that, we will pay attention to it. People here want former President Mahinda Rajapaksa as their leader. Yet, there are legal barriers for him to contest. The United National Party (UNP) introduced the current executive presidential system assuming that it could never be defeated. So far, seven presidential elections had been conducted. The UNP lost four of them. The UNP won only three including the 2015 elections. Even J.R. Jayewardene was not sure of winning the presidential election in 1982 with Sirimavo Bandaranaike as his rival candidate. As a result, she was stripped of her civic rights. The UNP eliminated its potential threats that way. They did the same this time. They created a hurdle for Mr. Mahinda Rajapaksa though people wanted him. I personally believe his leadership is needed for this country for another five years. Since there is a legal barrier for him to contest, we will nominate another in his place. Q Recently, Tamil National Alliance (TNA) leader R. Sampanthan said the Sri Lanka Freedom Party (SLFP) had been dispensed with by the SLPP. What is your view as the one who spearheads it? His speech is full of contradictions. He is also responsible for the destruction of the Federal Party formed by S.J.V. Chelvanayagam. As the time warranted, S.W.R.D. Bandaranaike defected from the UNP and formed the SLFP. Be that as it may, the SLFP has been made an appendage of the UNP by its present leadership today. Yet, we, the SLPP, stand for the original principles and polices espoused by the SLFP formed by Mr. Bandaranaike. The SLFP has abdicated its historical duty and responsibility. Instead, we are doing it. We are reaching out to all the communities. It has become a problem for Mr. Sampanthan. We directly address people in the north and east. Only the SLPP cherishes the founding ideals of the SLFP. We only gave political authority to people in the north and east by establishing provincial councils. Today, the TNA has acted to deny provincial administration in the east. The north is also likely to lose it in September. Mr. Sampanthan insists on the demand for the new constitution. That is a ploy to get the provincial council elections postponed. In fact, we established the northern provincial council and made way for Chief Minister C.V. Wigneswaran to take decisions with regard to public affairs. Q In your view, what will be the role of the SLFP at the presidential elections? If the government conducts the provincial council elections first, we will be able to see the predicament of the SLFP. Q Earlier, there were talks about a change of government. Why do you try to bring about a change of government by securing parliamentary majority ahead of the presidential elections? The SLPP has no parliamentary representation. We have the largest representation in local bodies. We will win over the provincial councils in the future. Even now, we have the largest number of provincial council members. We will only team up with the Joint Opposition when it comes to parliamentary affairs. Q What is your political advice to those in the Joint Opposition? Actually, they are more politically savvy than us. We only implement the decisions taken by them on the ground. Q There is opposition to the accommodation of some members from the SLFP in the Joint Opposition. This is especially relevant to MP Dayasiri Jayasekara. What is your stand on the accommodation of these MPs from the SLFP? That issue has been sorted out. There is no distinct group with the SLFP identity now. They work with the Joint Opposition. Also, they collaborate with the SLPP. There are issues. I also have my views. These are being discussed internally. Q How do you react to the government MPs switching allegiance to the opposition in this manner? We won the local government elections. We need to increase our vote base to win the presidential elections. We have to win over fresh votes from among voters already registered in Sri Lanka. Otherwise, we cannot import votes. We try to attract votes. There are 1.4 million people who voted for the SLFP- led UPFA at the local government elections. These people are ideologically close to us. We have taken action to attract them. Some voted for the UPFA because it was the ruling party. Others voted for the UPFA in certain cases over the individual popularity of candidates in the fray. There are those who are spiritually attached to the SLFP. We need to pay attention to them. Q How big is the segment of voters who are so attached to the party? It differs from area to area. In some instances, the UPFA got votes at the behest of the sister parties aligned with it. It won the Kattankudy Urban Council because of Minister A.L.M. Hizbullah. The UPFA won similarly in some other areas thanks to MP Arumugam Thondaman and former Minister A.L.M. Athaullah. The individual popularity of some candidates also mattered in certain cases. We have to reach out to these parties. We are going to tie up with JVPers and UNPers at village level. Q In case, President Maithripala Sirisena offered to team up with you at the next election, will you accommodate him? I do not wish to respond to hypothetical questions. Let’s see when that eventuality arises! The government set a world record by destroying a country within a short span of time. Certain areas of the economy have been damaged beyond redemption. The entire desiccated coconut industry has collapsed, even losing the export market. The gold industry is another. Those who manufacture joss sticks have also suffered a lot. The agriculture sector is in ruins, be it food crop cultivation or cash crop cultivation. Q There is criticism over the recent tax hikes. Taxation is needed to increase state revenue. Your party argues against the tax hike. How do you manage state revenue with less taxation? We did it nicely. We reduced direct taxation during our time. There was a school of thought that direct taxes should be raised to gain revenue for the state to be invested. Besides, we reduced such taxes instead. We wanted to strengthen our businessmen. Then, their taxable income also improves. It is always needed to improve individual family economies. Then, their purchasing power improves. They increase their purchases of various consumer and luxury items. In such a context, we can get revenue by way of indirect taxes imposed on the items they purchase using their newly gained wealth. This government killed the proverbial goose laying golden eggs. They heaped tax burden on businessmen. Their business operations will collapse next time due to this. Then, we will not have people to pay taxes. Q There is a controversy surrounding a multi-million donation made by a Chinese company to a foundation headed by your spouse Pushpa Rajapaksa. A copy of the cash cheque that transpired in this transaction has come to light now. How do you respond to the charges? Actually, it is now a matter being taken up in a court of law. We have received legal instructions not to comment on it further. It will be dealt with legally by our lawyers through the proper channel. As a result, I will not respond to it .